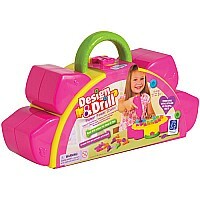 Learning fun blossoms with this colorful design studio especially for girls. 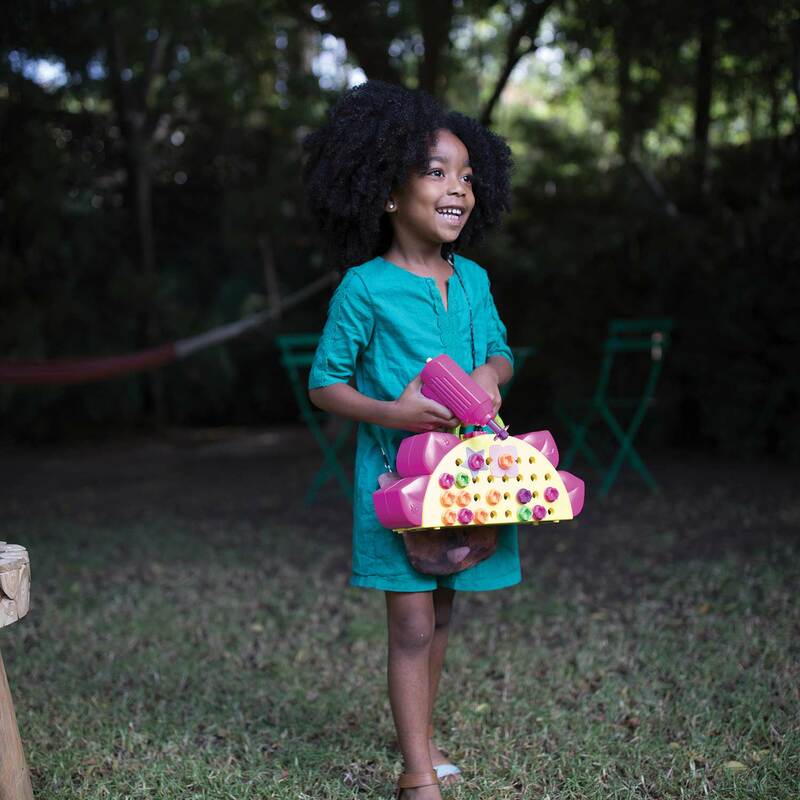 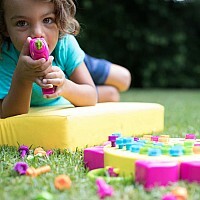 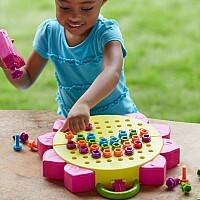 Grows kids' hand-eye coordination, patterning, and problem-solving skills. Power drill, 60 bolts in 5 brilliant colors, 6 designer plates, and activity guide, store neatly in the flower-shaped activity board. 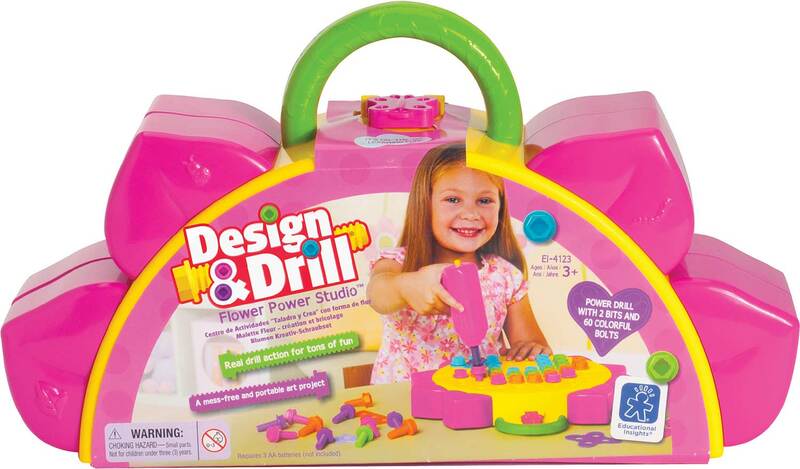 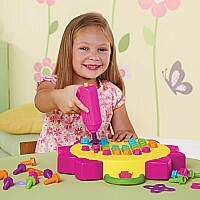 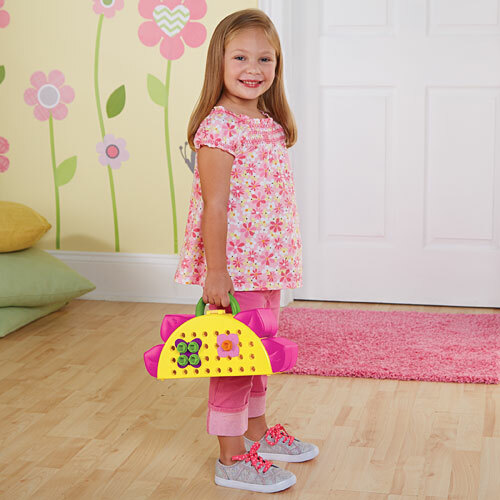 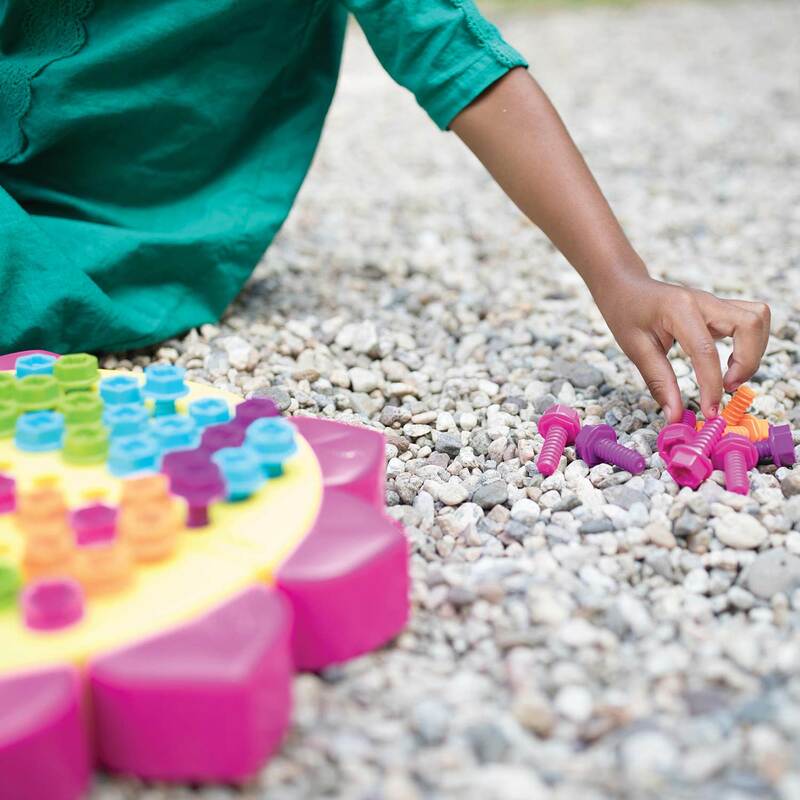 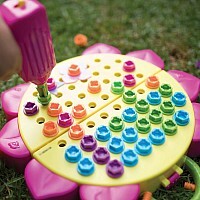 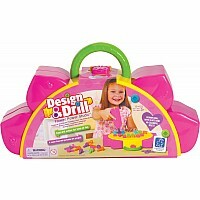 Ages 3+ The nitty-gritty: Flower shaped "take-along" activity board 60 Bolts in 5 different colors 6 Designer plates 1 Drill (in new colors) 2 Drill bits (new flower bit) Drill requires 3 AA batteries, not included.